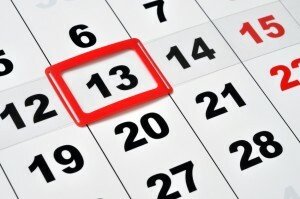 Turn Your Bad Job Search Luck Around This Friday the 13th! We’ve all heard the definition of insanity, which is doing the same thing over and over again and expecting different results. This might be an issue with your job search! If you’re only submitting your resume through job boards, and you’re not getting bites, it might be time to change it up! Try LinkedIn or activate your professional network. A simple change to your approach may be your key to good luck. What type of opportunities have you been applying to? Or have you simply been applying to everything that might remotely relate to you? Maybe the reason why you’re having bad luck is because you’ve been applying to jobs that don’t fit your skillsets or experience! Narrow your scope, so you’re focusing on the right positions and not wasting your time on the wrong ones. Many job seekers believe they can send a general resume, just “wing it” during interviews and still get a job. 99 times out of 100, this will not work. If you are forgetting to tailor your resume to the opportunity and then failing to research the company before your interview, you are most likely doing yourself a huge disservice. The job search takes effort, and giving it your all is a necessity these days with this competitive market. There is absolutely no shame in asking for help! Ask a trusted friend to read over your resume and cover letter. Practice interviewing with a mentor. Talk to your network to see if your professional connections know of any open positions. Also, reach out to a recruiter at a staffing company to find more opportunities. The job search is tough, and you cannot go through it alone. Your bad luck doesn’t have to hang around after Friday the 13th! Remember this advice, and may you have the best of luck in finding your dream job! This entry was posted in Job Seekers and tagged Bad Luck in Job Search, Be Lucky, Be Lucky while Job Hunting, Job Hunt, job hunt tips, Job Search Luck. Bookmark the permalink.